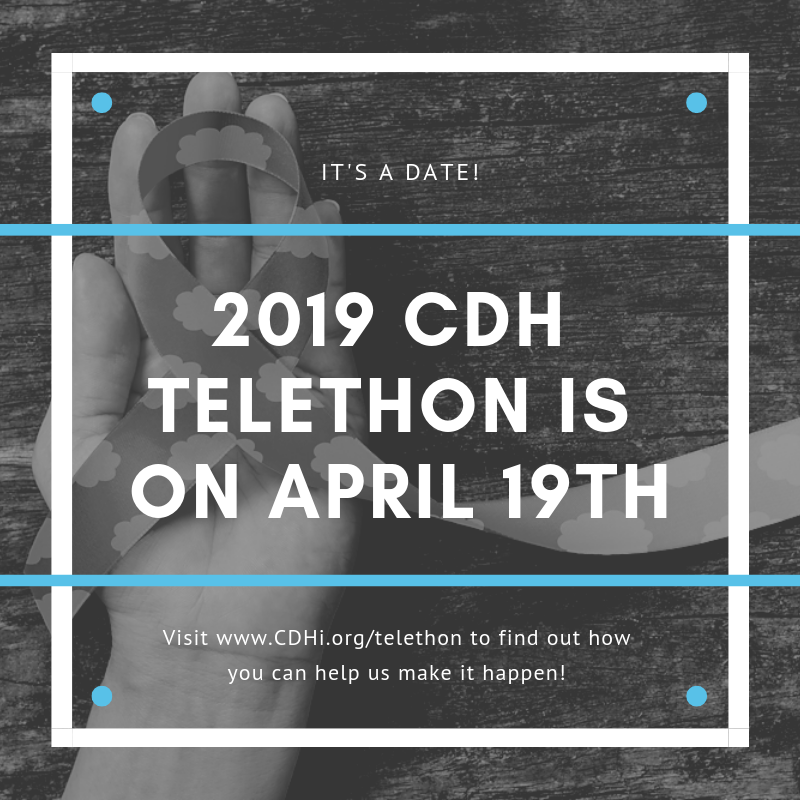 Join us live on our Facebook page for the 2019 annual CDH Telethon, hosted by CDH International President, Dawn Ireland, with patient and hospital interviews, celebrity appearances and more all to raise money to fight Congenital Diaphragmatic Hernia. 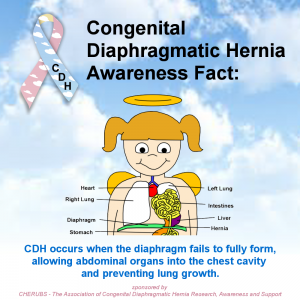 Congenital Diaphragmatic Hernia is a devastating birth defect that strikes 1 in every 2500 babies; equaling 1 baby every 10 minutes in the world. The cause is unknown. Survival in First World Countries is 50%; 1% in Third World Countries. CDH International is working hard with hospitals, other non-profits, patients and the World Health Organization to fight this horrific monster responsible for taking the lives of over 300,000 children since the year 2000. The biggest struggle in the fight is the lack of awareness of CDH. Without awareness, there is virtually no research funding and very little help for patients and families. Our goal for the CDH Telethon is raise both much needed awareness and funding.